The last few months have brought changes beyond belief and it’s time to fess up and put it down on paper. You never know maybe it will be helpful for someone else and for myself too. Here’s how it all started… and I’ll dive straight in! There’s a glimmer in the air and hope on people’s faces as the sun pokes it’s head from the clouds and the early blooms start to pop up on the trees. It’s the 1st if April and spring it seems is here, but the news we received today is certainly no April fools. I’ve just been diagnosed with breast cancer. grade 3, stage one triple negative! And I can’t believe it. I had a bad feeling as we arrived in reception today, but I wasn’t expecting a mastectomy and chemo to be part of the plan. Turns out the radiotherapy I’ve had in the past, rules out a lumpectomy and radiotherapy, so a diep flap now seems to be the order of the day. It’s a lot to take in for all of us. My thoughts turn to practicalities as the questions seem to roll off my tongue, my wonderful other half looks at me in disbelief. I’m not sure where they are coming from either or how I’m managing to stay so focused on getting everything in some sort of order. I guess it’s a way of staying in control and not letting the emotions take over. Don’t get me wrong I’m seriously pissed off. I didn’t think I deserved to be here again, but what can you do? 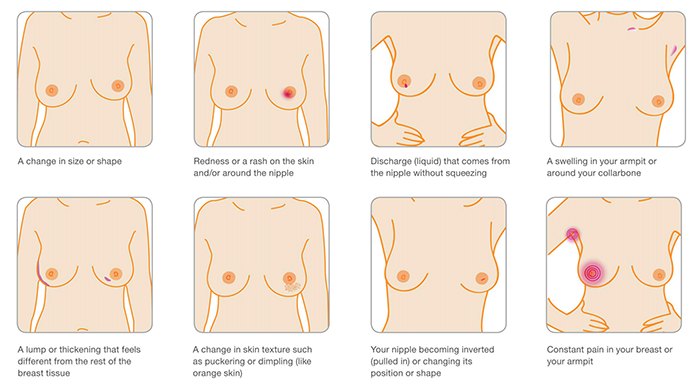 If you want to check yourself then Breast Cancer Care’s diagram below is excellent, as it’s not just all about finding a lump! I never thought I’d be writing a lifestyle blog but the turn of recent events calls for a new look at myself my life and my blog. It’s not going to be an easy road ahead but it’s one I know we can get through and will get through. Watch this space for more coming soon…. It’s definitely getting colder and I’m excited at the prospect of the snow that is forecast this weekend, but how can you keep my bump warm and still look chic? I have to be honest here, when it comes to baby changing bags I have a lot of opinion right from the offset. That is I mean before I have even googled the crap out of the top ten bags on the market and alternative totes and come up with pretty much zero satisfaction. I ask myself, ‘Do I really need an actual baby changing bag? 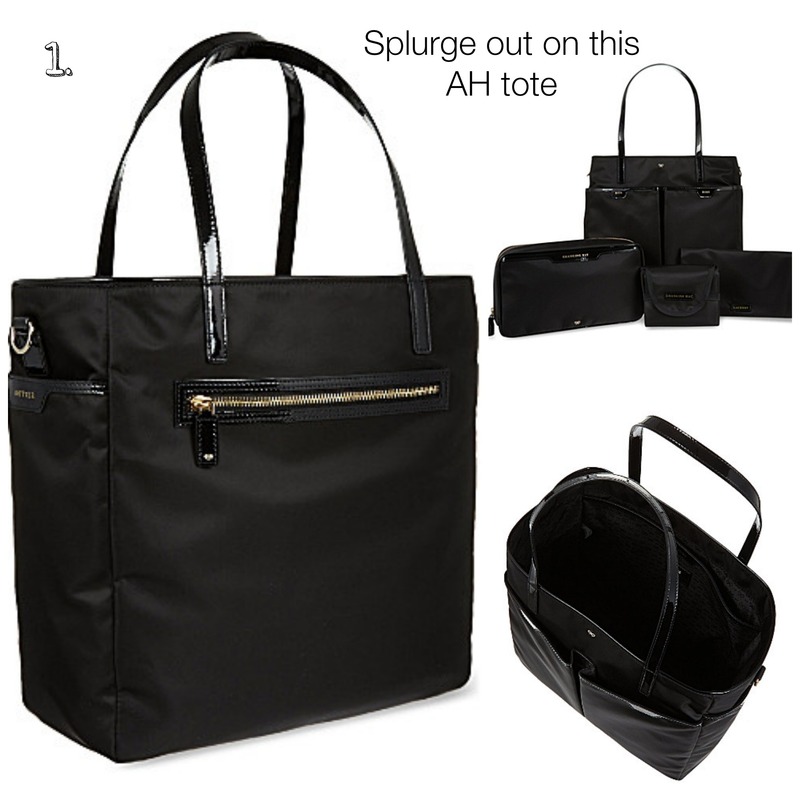 Isn’t it just basically a tote with a host of added pockets’? I begin instead for a search of pocket insert trays and I find a fairly style friendly version for £29. But that I feel is quite a lot for an insert when the pockets really aren’t quite the right size for diapers or nappy bags, cotton wool, muslins and the host of other stuff you need to carry around with you every day with a new baby. Plus then I still need the bottle warmer, changing mat etc etc etc. I’m sure I can get a better deal with a full changing bag that already comes with all those accessories that makes better buying sense. So then I go into the leather style bags. I’ll pay more for a bag that I can then use afterwards no? Let’s face it this bag is going to be going everywhere with me for the first few years so I really do need to Love it. And what’s more, I don’t want to lose my personality and personal style while carrying it either. I want this bag to match my life. Not am I willing to bend my style to fit in with the array of zoo print and pink fluffy bags that seem to still be selling out. I’m not the baby here. Besides there’s enough baby friendly toys and buggy buddies in bright shades of pink, yellow red and blue that I seem to be told I need to attach to all the other gear that comes with baby. Although this is top end, I had to put it in the top ten. Why? Just look at it! 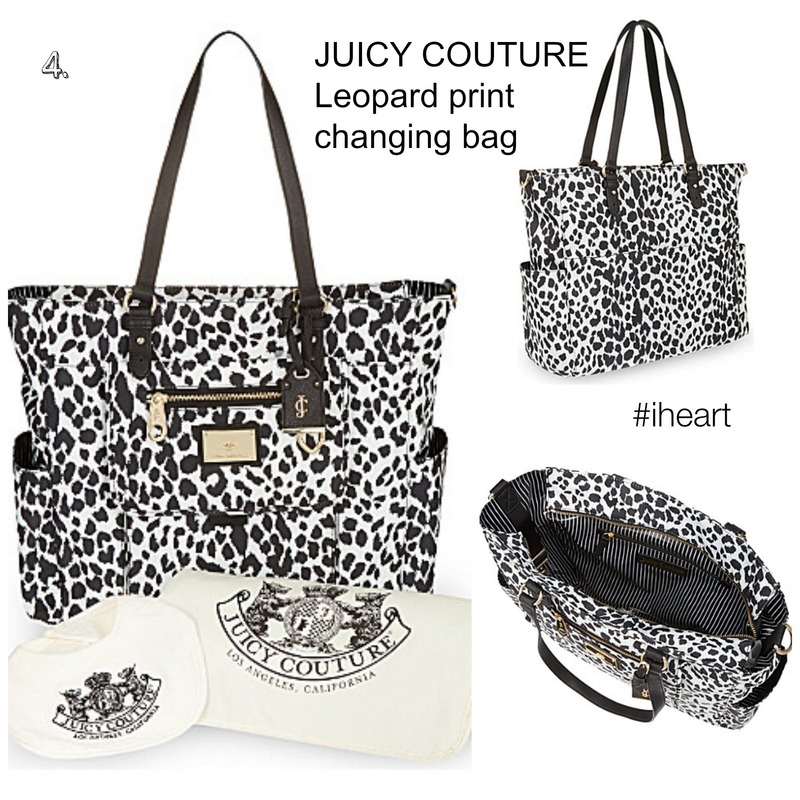 A classic Tote but with those essential pockets both on the outside and the inside this bag could go on for ever! This is not just a baby changing bag this is a bag for life! Also comes with the added extras you need such as a changing mat and nappy bag. If you’re going to spoil yourself with just one new mama gift, then go for this! It will look good now and beyond. Wipe clean, yes wipe clean! Need I Say more? 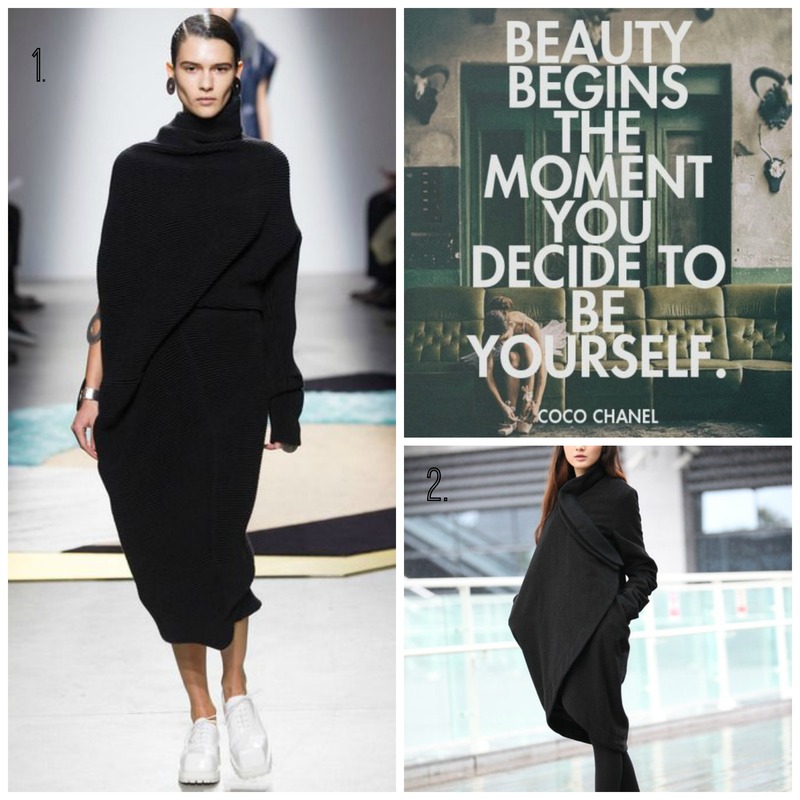 It’s got that chic factor! Real Leather, Real Deal. I love this bag. It hits that button with me again for offering longevity and by that I mean that the whole kit and caboodle from the inside can be pulled out, leaving you with a simple stylish leather bag for when you’re done carrying those nappies and bottles around. Or if you’re having a baby free day out (on those rare occasions) you can whip out the internal bag and no need to fuss around with extra bits and bobs and changing over to other bags which always results in you losing your lip balm of forgetting your oyster. That Converter bag is a godsend! Two large back pockets, One large stretchy pocket, so basically pockets galore! This is a great buy. 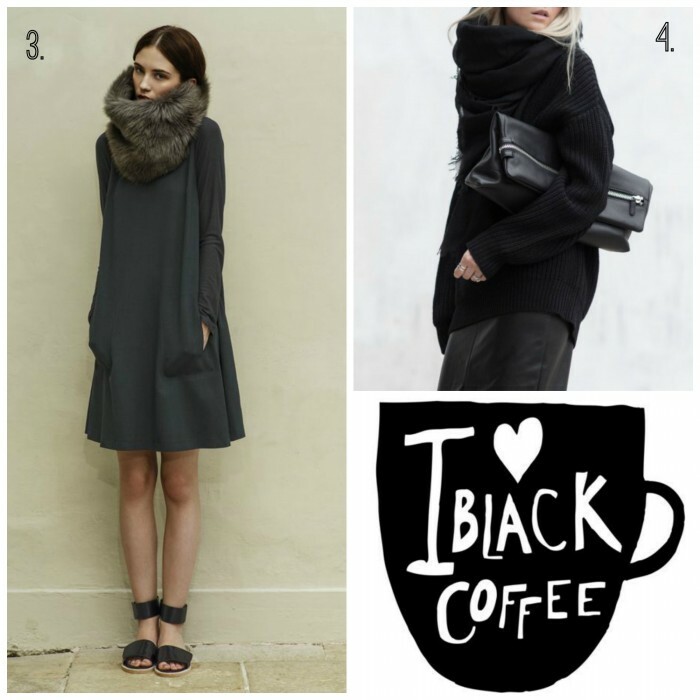 It has Zips and pockets everywhere and is a lovely piece to put over your shoulder. Again it mens you don’t have to compromise on style or fork out a fortune in the process. Get your hand on a piece of Parisien wipe down chic! Who can resist? Not me Not me! I love the contrast of the Leopard print exterior and the Striped interior lining. Plus it’s black and white so your baby will just love it too! Not to mention it can actually stimulate brain cell connections and improve concentration skills! What more do you need to know? It’s educational and mesmerising for your baby. I’m sold! Comes with matching changing mat and a bib too boot so baby can look cool too, oh and be engaged all the while! Stylish, practical and good for baby. What are you waiting for? 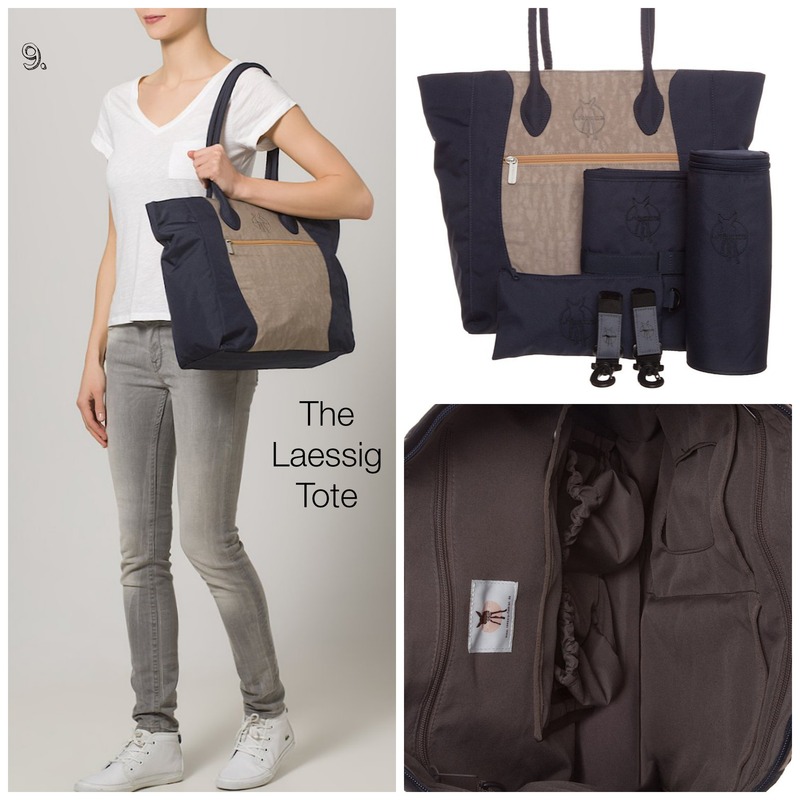 So if you want to go for something a bit more casual but without losing all the practical elements then I would opt for this truly lovely Laessig Tote. 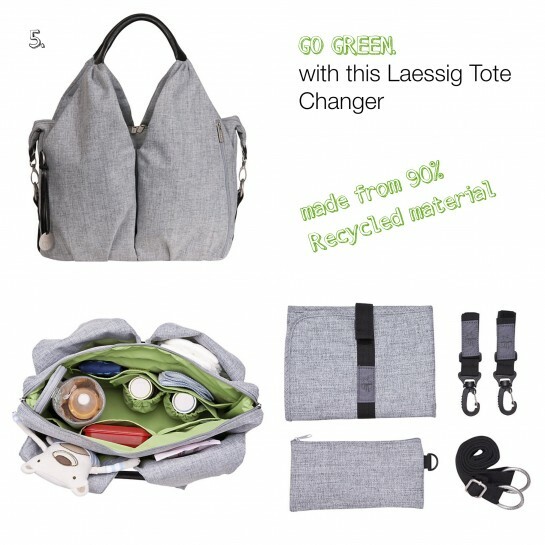 Made in Germany this Changer offers thought out compartments and useful additions. It’s clean and fuss free and if you’re into recycling then this bag can help you feel like you’re being a bit green too as it’s made form 90% recycled materials, but without losing that essential style factor! 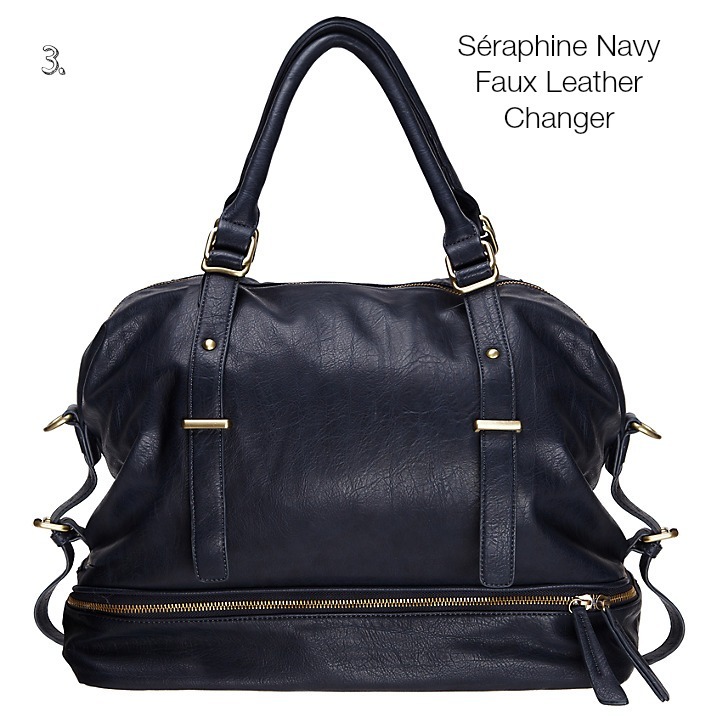 It’s made from non toxic environmentally friendly materials and is a super functional yet stylish buy! Comes with a matching baby changing mat and an insulated removable bottle holder and zip pouch. Simply stylish, functional and environmentally friendly! iheart, iheart, iheart! I do! I mean look at it! This has to be the most non-baby changing looky likey bag out there at the moment. It looks like an ordinary handbag and is total arm candy if you ask me! Chic-tastic by designer Nova Harley from Australia, there are lot’s of styles to choose from but one of my faves is this Melbourne Bag. Which also reminds me of my trip to Oz and time in Melbourne – Double Bonus! Faultless and sophisticated! It’s a Yes from me! This Changer is canvas cool if ever I saw it. The Brown leather straps set off the geographic print perfectly and bring the bag to life by adding a classic twist. It looks almost like a weekend duffle than a baby changer to me. Again that black and white geo pattern can help to stimulate your little one all day long! So if you ant something that’s in style, multi-functional and won’t break the bank, head for the Elodie Details Changer now. Innovation in a Bag. 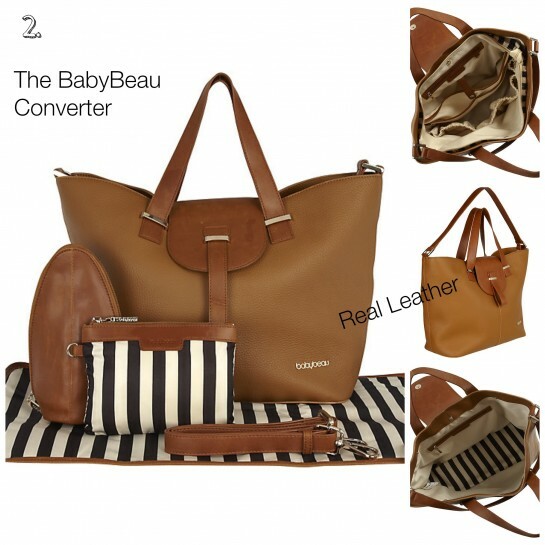 The clever multiway changing bag can be little or large. Basically with the use of poppers, you can change the shape to suit your lifestyle. For Days out it offers a bucket style bag to store all your baby’s essential items including nappies, wipes, change of clothes and any feeding equipment. But if you’re literally just popping ou for a few hours and don’t want to take the kitchen sink, then the bag can be moulded with poppers to make a smaller more compact bag. Mothercare’s multiway bag comes complete with a padded changing mat, a messy bag to keep any damp or dirty clothing, and an insulated bottle holder. The interior compartment of the bag features a wipe clean lining and has plenty of storage pockets to keep everything neatly organised. Hence the name – Multi Changer – literally! Big Tote meets compact carrier. Cool, lightweight and perfectly man friendly to boot! 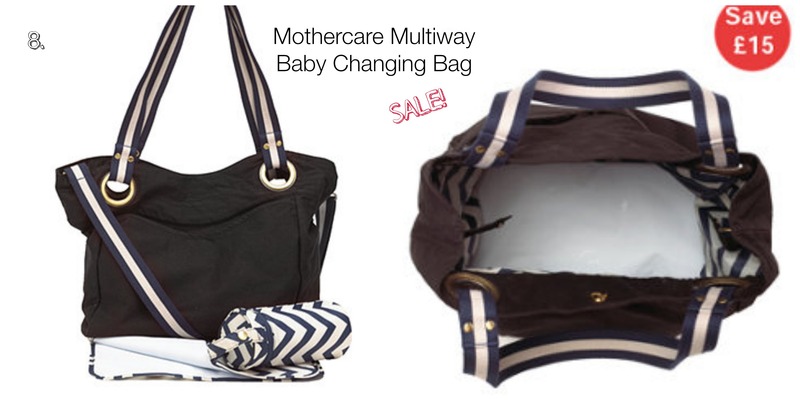 BUY IT NOW: At Mothercare SALE! Again this is a classic Shopper come changing bag. From the outside you wouldn’t even know it had anything to do with bambinos and what with all the bunny and elephant prints that come with every other baby essential we carry around, it’s a welcome break to find a shopper that looks as casually cool as this one does. Aaaand it looks like a normal classic everyday shopping bag! THE PRICE: Down from £65.00 to £50.00 so grab a bargain now! BUY IT NOW: At Zalando.co.uk SALE! 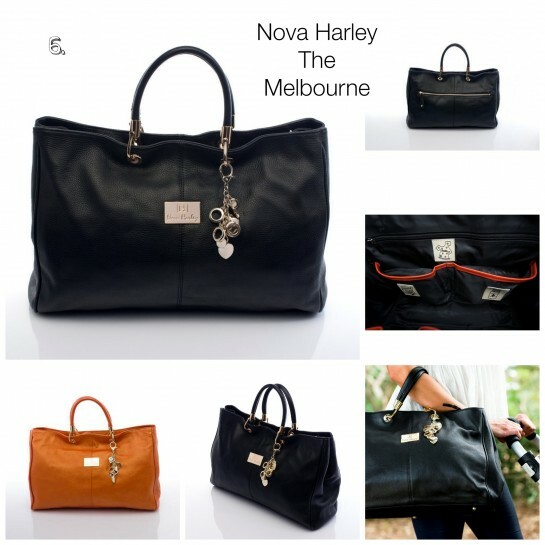 THE NOVA HARLEY LUXURY BRISBANE ‘Convertible” Baby Changing Bag! In at number 10! I couldn’t help but sneak in an other Nova Harley bag. I carry a yellow faux leather bag around with me at the moment and I love the bright happy feel I get whenever I pick it up. Why not get a changer in the happy yellow too? Totally cool and enough to brighten up anyones day. And that’s not all! This premium leather changer in fact also converts into an everyday fashion or work bag, simply by removing the internal liner which when installed is secured with heavy duty poppers. A little like where I started my search, this bag offers up that with paying for longevity for use long after your little one is out of nappies and milk.